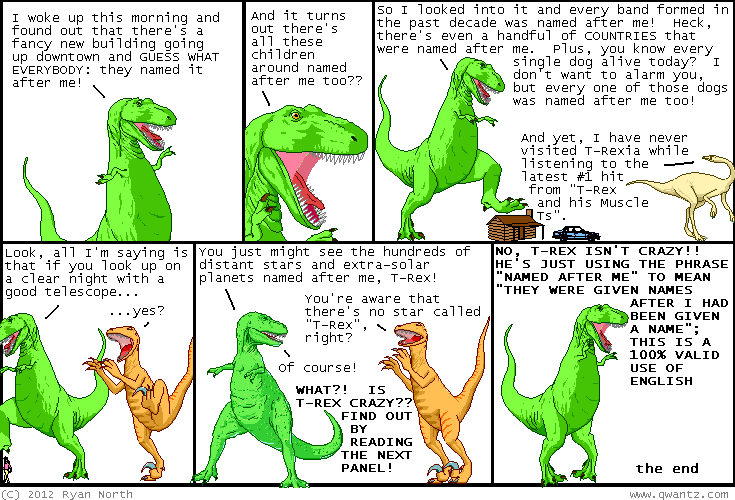 Dinosaur Comics - January 18th, 2012 - awesome fun times! January 18th, 2012: Thanks to everyone who came out to the comics talk with me and Joey - we had a great time and even learnt about bears that busted into people's houses. Could this be the mark of a good talk?? It seems likely.